Pärnu ([ˈpærˑnu]; German: Pernau, Russian: Пернов, Pernov, Latvian: Pērnava) is the fourth-largest city in Estonia. 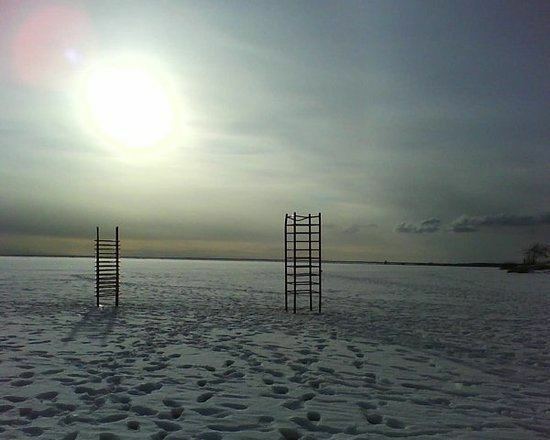 Located in southwestern Estonia on the coast of Pärnu Bay, an inlet of the Gulf of Livonia in the Baltic Sea. It is a popular summer holiday resort with many hotels, restaurants, and large beaches. 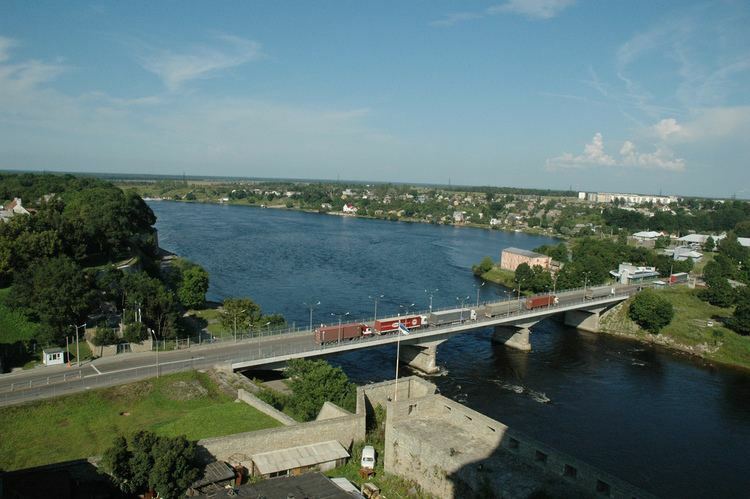 The Pärnu River flows through the city and drains into the Gulf of Riga. The city is served by Pärnu Airport. Perona (German: Alt-Pernau, Estonian: Vana-Pärnu) was founded by the bishop of Ösel–Wiek ca. 1251, suffered heavily under pressure of the concurrent town, and was finally destroyed ca. 1600. Another town, Embeke (later German: Neu-Pernau, Estonian: Uus-Pärnu) was founded by the Livonian Order, who began building an Ordensburg nearby in 1265. The latter town, then known by the German name of Pernau, was a member of the Hanseatic League and an important ice-free harbor for Livonia. The Polish–Lithuanian Commonwealth took control of town between 1560–1617; the Poles and Lithuanians fought the Swedes nearby in 1609. Sweden took control of the town during the 16th-century Livonian War, but it was subsequently taken by the Russian Empire in the 1710 Capitulation of Estonia and Livonia and the 1721 Treaty of Nystad, following the Great Northern War. It belonged to Imperial Russian Governorate of Livonia then. The city is occasionally referred to as Pyarnu, an incorrect reverse-transliteration from Russian Пярну. The city was occupied by the Soviet Red Army along with the rest of Estonia in 1940 during World War II. It was then occupied by Germany from 1941 until 1944 before it was reoccupied by the Soviet Union as part of the Estonian Soviet Socialist Republic from 1944-1991. During the Great Northern War, the University of Dorpat (Tartu) was relocated to Pernau from 1699–1710. The university has a branch campus in Pärnu today (1,000 students in the 2004/2005 school year). Pärnu lies within the temperate humid continental climate zone. Local administration consists of the town council and the town government. Town council elections take place every four years. The number of councillors depends on the population. The current number of councillors is 33. 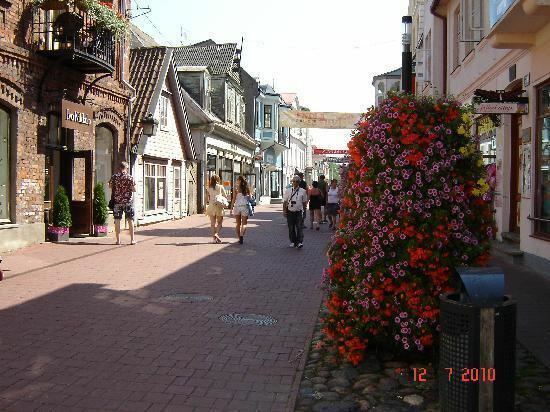 Today Pärnu is an economically balanced region with a comprehensive range of industries. Foreign investments and new businesses with up-to-date technologies have enhanced job creation and higher competitiveness of the businesses in the world markets. Several enterprises of Pärnu region stand out as the best in Estonia. Significant flows of exports from Pärnu region and South-Estonia pass through the Port of Pärnu which lies at the mouth of the Pärnu River. In recent years, the port has developed into an important regional harbour for south-western and southern Estonia. Pärnu’s fame as a rehabilitation and holiday resort dates back to the middle of the 19th century. The foundation of the first bathing facility in 1838 is considered the birth date of Pärnu resort. Today Pärnu has all desirable qualities of a modern holiday resort – it has spas and rehabilitation centres, hotels, conference and concert venues, golf courses and tennis courts, restaurants and pubs. Long tradition of as a resort has made Pärnu well known in Finland and other Scandinavian countries. Majority of the tourists in Pärnu are Finns, Swedes and Russians. In 1837, a tavern near the beach was made into a bathing establishment. The establishment accommodated 5–6 bathrooms that provided hot seawater baths in summer and operated as a sauna in winter. The wooden building was burnt down in the course of World War I. In 1927, the present stone building of Pärnu Mud Baths was erected at the same site. Since 1996 Pärnu has been known as Estonia's Summer Capital. Starting from 2015 the city of Pärnu hosts the annual Weekend Festival, the largest dance music festival in Scandinavia. Stages are headlined by DJs from across the electronic dance music spectrum, with audiovisual support. Some of the past and upcoming artists to perform include Martin Garrix, David Guetta, Avicii, Steve Aoki, Tiësto, Armin van Buuren, Hardwell, Robin Schulz, Afrojack, deadmau5, Knife Party and many more.